Ten years after the financial crisis, our nation’s middle-income Baby Boomers are increasingly reliant on Social Security for their primary source of retirement income, according to a new report that details the mindset of current and soon-to-be retirees. The study, “10 Years After the Crisis: Middle-Income Boomers Rebounding But Not Recovered,” reveals that four in 10 (38 percent) middle-income Boomers expect to rely on Social Security for their primary source of retirement income, up more than 25 percent from before the financial crisis when that number was less than one in three (30 percent). Commissioned by the Bankers Life Center for a Secure Retirement (CSR), the study found that before the crisis, about four in 10 (43 percent) middle-income Boomers planned to rely on personal savings or earnings (retirement accounts, general savings and investments, and employment) for their primary source of retirement income. 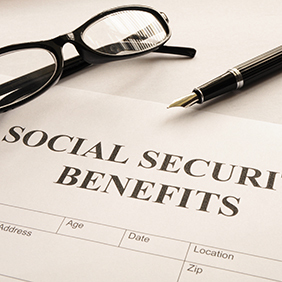 That number has dropped to just over three in 10 (34 percent), with the difference mainly moving to Social Security. According to the study, middle-income Boomers—those with an annual household income between $30,000 and $100,000 and less than $1 million in investable assets—are apprehensive about investing and are overly reliant on Social Security as a primary means of financial support in retirement. Three-quarters (74 percent) have changed their investment behavior as a result of the financial crisis, most commonly taking defensive measures, such as making more conservative investment choices (28 percent). The CSR study asked middle-income Boomers to look back to the events in 2007 that led to the financial crisis and subsequent recession. Respondents revealed that they have struggled to rebound financially, and while nearly all surveyed said they still plan to retire, they have readjusted retirement expectations to meet their new reality. Only two percent of middle-income Boomers feel the economy has fully recovered, and two thirds (65 percent) say they have not felt a personal benefit from any recovery. Of that group, more than half say their savings are lower now than before the crisis, and four in 10 are not earning as much, the study revealed. Adding to their financial burden, before the crisis, 45 percent of middle-income Boomers expected to retire debt free, but today only 34 percent anticipate a debt-free retirement. Concern over having enough income to last throughout their retirement has led Boomers to reconsider exiting the workforce. According to the CSR study, before the crisis, 35 percent of middle-income Boomers expected to work full time or part-time in retirement, but today 48 percent expect to work full or part-time. Create and maintain a household budget that minimizes your monthly bills and discretionary spending. Also make a concerted effort to pay down debt before retiring to create more financial flexibility. There are a wide range of affordable and secure options available to help you save for your retirement, provide you income and protect your assets, such as annuities. Consider tax-deferred investment options, including 401(k), IRAs and Roth IRAs. Consider working with a financial professional to help you build your plan and find products that can protect your investments. Plan for any unexpected costs that can arise, especially expenses related to retirement, such as long-term care or critical illness. Look into life insurance to see if it might help you. If possible, consider remaining in or rejoining the workforce. Employment income will relieve pressure on other sources of income and provide more money to spend on the things you really want. Plus, many jobs may provide access to valuable employee benefits.